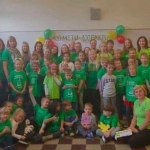 Last Saturday Gediminas Lithuanian School turned 16! 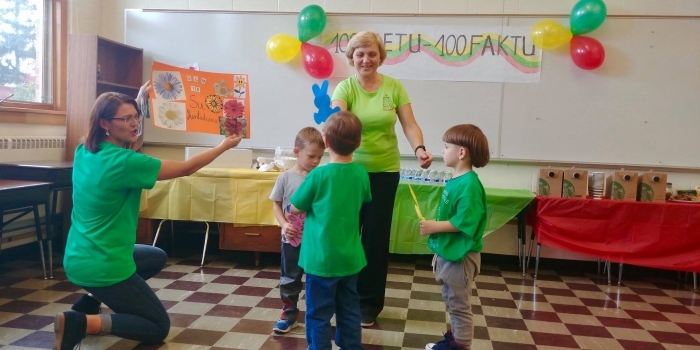 Schools students and parents celebrated it with a quiz competition "100 Years - 100 Facts." 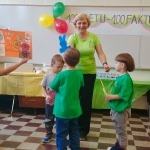 School's students proved to their parents that they attend school for a reason and proudly shared their knowledge about Lithuania. Students were announced as ultimate winners. Afterwards, everyone tried their luck in school's lottery. Winners of $100 grand prize and many other wonderful prizes were announced. 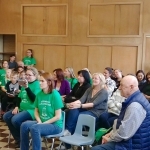 This event is KFF "Matching Grant" event during which $1,300 were collected. 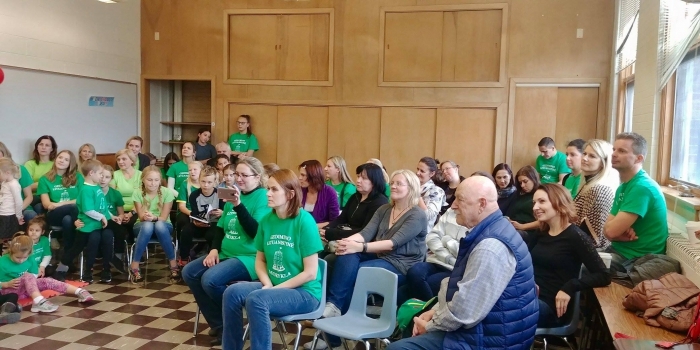 Kazickas Family Foundation will match $1,000! 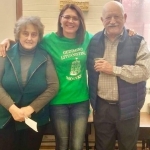 School thanks all its supporters, USA Waukegan-Lake County Lithuanian Community, Gediminas Damasius, New York Life Insurance employee Birute Luksas and her colleagues, Lina Zviedris for an incredible birthday cake, all parents and guests and school's teachers of course. Parents vs Children during Quizz "100 Years - 100 Facts"